We live, love and landscape Muskoka. Our best work happens at your property with superior-quality, locally-produced materials from our two pits and quarries. And because we produce our own materials, we pass those savings on to you. 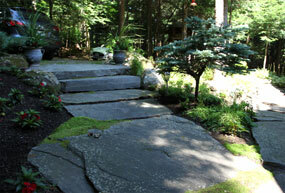 We’re proud to landscape Muskoka, naturally. 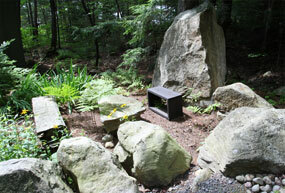 However you love to live in Muskoka’s outdoors, we’ll help you achieve your dream. Beginning with your vision, we design and create beautiful, sustainable outdoor living spaces that blend seamlessly into the landscape. We even offer annual maintenance plans so that you can make the most out of your time outside. 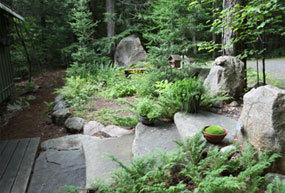 Crockford owns and operates more than 400 acres of the best ministry-licensed pit and quarry land in Muskoka. We pride ourselves on producing and selling superior quality products and welcome retail inquiries. Contact us to see our inventory. We have a responsibility to do right by future generations. We don’t take that lightly. Crockford follows MNR guidelines in our aggregate production to minimize impact on the environment. Generations from now Crockford’s aggregate production site will be a man-made lake that in appearance and ecology will seamlessly flow into Muskoka’s natural landscape. We follow the same principles on your property, creating a beautiful, natural and sustainable design that’s gentle on the land and easy to maintain. All contents copyright © 2019 Crockford Landscape Construction.